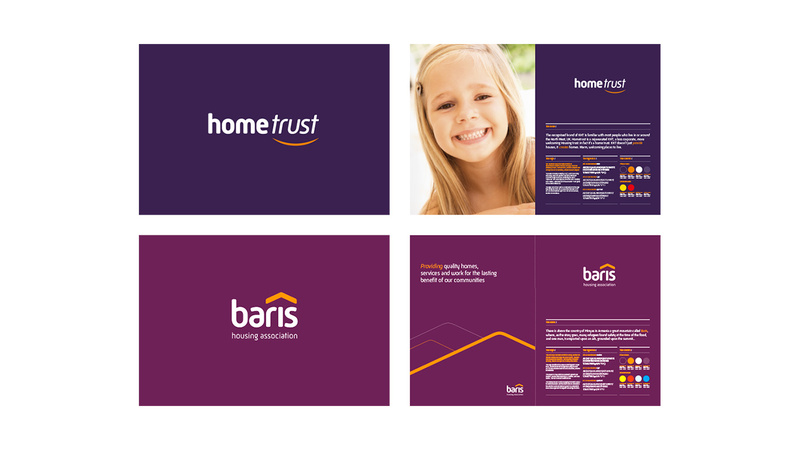 KHT: Part of the First Ark Group - Housing association branding. 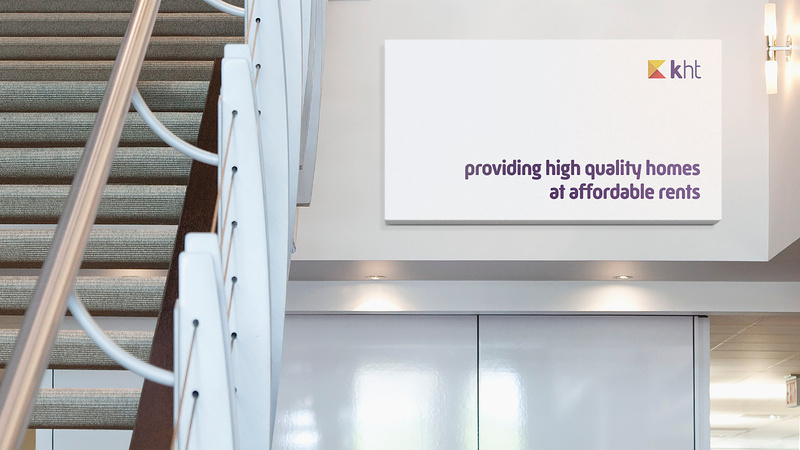 KHT are an independent housing Association providing high quality homes at affordable rents. 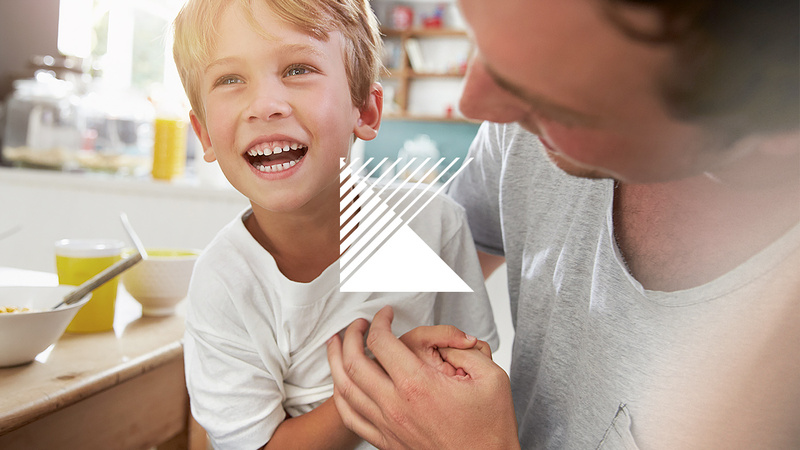 Now part of the First Ark group of companies, KHT have been in business since 2002 providing homes for 25,000 people through 14,000 homes in Knowsley, North West UK. 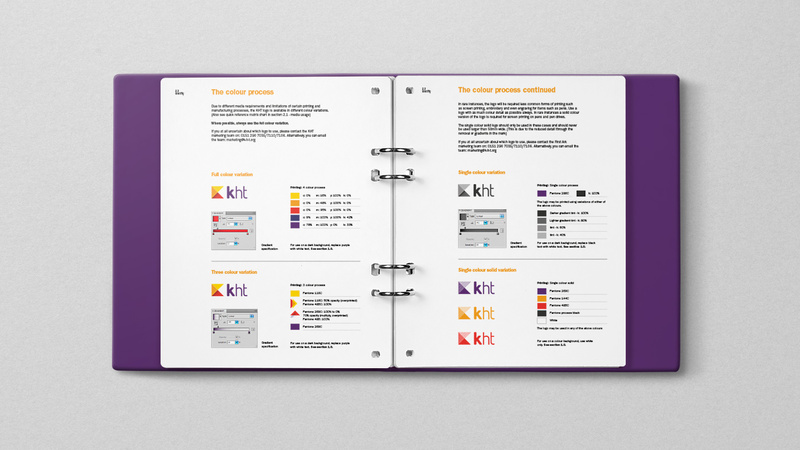 In 2011 we were commissioned to explore and develop a new name and brand for KHT. 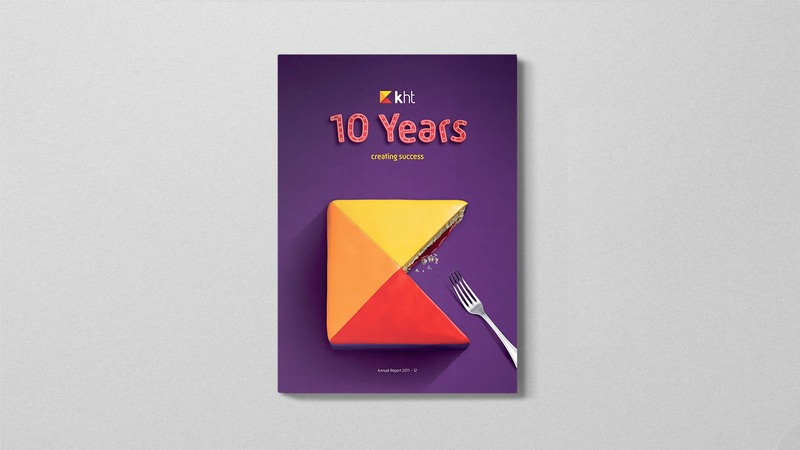 From various group sessions and consultations with key stakeholders it emerged that the name KHT carried so much equity that the decision was made to retain the initials and adapt the established group visual identity. 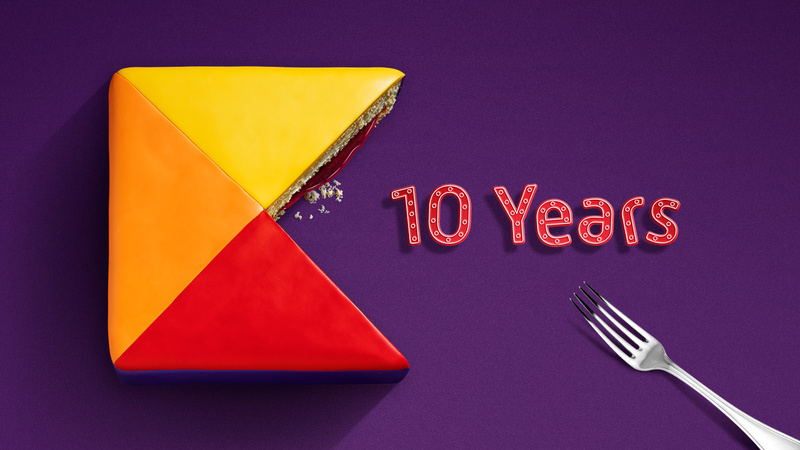 The group then took the highly successful overlapping triangles logo marque, an extension of the original First Ark Group identity which O’Connell & Squelch created in 2010 and applied it to their KHT brand identity. 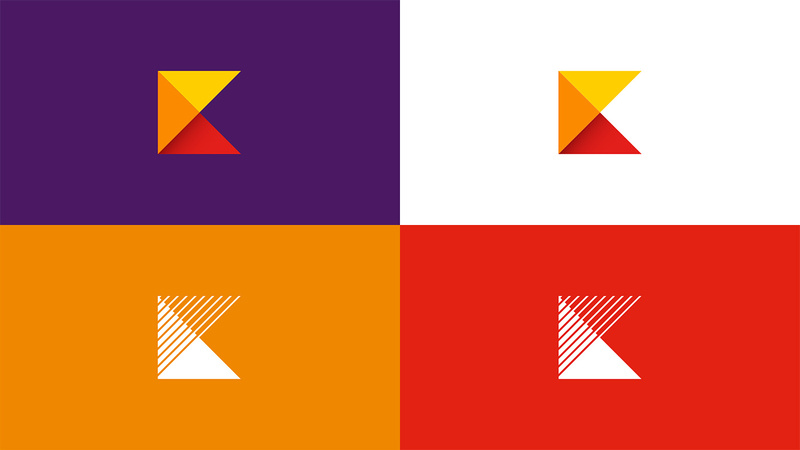 The triangles represented two early divisions of the organisation: KHT and KHT Services, merging to form the First Ark Group and seen in the logo as the letter K. The two physical forms of the marque have been created to give maximum flexibility across a wide range of applications such as screen printing, engraving, print and digital. O’Connell & Squelch continue to work closely with the marketing team at KHT, providing creative and consultancy services and have produced brand guidelines, annual reports, signage, graphics and imagery for a wide range of applications.